Home › Elevation › Furtick & Noble – the unqualified restoring the unqualified. I spent 30 days in a treatment facility in Arizona from mid-July until mid-August. Being in that place allowed me to come face to face with issues from my past as well as my current struggle, and placed me in a place to successfully overcome my overmedication via alcohol. I can honestly say I am excited about the future God has for me and my family. The one thing I keep hearing from Him over and over again is that He is not finished with me. Shortly after this, he started a new business. “Churches are businesses,” he says, and offers a consulting service to help churches gain tithing customers and increased revenue. This was his strong point in his years of ministry. His experience of managing 425 employees with a 63 million dollar budget is his selling point. Certainly not exegeting the Scriptures, shepherding a flock, setting an example as a pastor being above reproach. No, it’s just a business. Well, after all of this, it appears his preaching career is making a comeback after all, and he’s holding true to his promise of returning to ministry. In typical disgraced pastor fashion, he makes his triumphant re-entry into ministry on the stage of a heretic. In July of 2016 I thought I would never preach again! I allowed myself to be deceived by the enemy and depended on alcohol more than Jesus! However…during this entire time Steven Furtick hasn’t been someone who “had my back” but rather has stood by my side and been a source of encouragement, friendship and has been willing to tell me what I needed to hear. Last night he allowed me the honor of returning to preaching on the stage at Elevation – and what I thought was dead came to life again. In life the “who” that stands with you really does matter – and I am more thankful for Steven and Holly than they could ever imagine…and I’m looking so forward to being there again today. Jesus brings dead things back to life – if you are doubting or disbelieving I understand – I’ve been there; however, if you are bit dead then God is not done – His plans for you are still greater than you could have ever imagined! Not that Perry was ever in the camp of sound biblical expositors–he wasn’t. He was as false of a teacher as they get. But he wasn’t a Word of Faith heretic. He was merely a seeker-sensitive preacher and a poor exegete that gained a large following by applying his business skills and managing 425 employees with a 63 million dollar budget. Not once has he ever rightly divided the Scriptures. 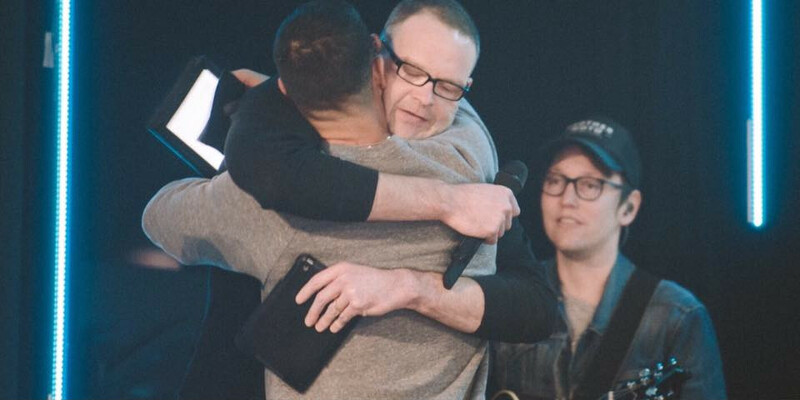 But Steven Furtick, on the other hand, is far more than just seeker sensitive, he’s Word of Faith–and it’s in his hands that Perry Noble has placed his hope of returning to the stage. ‹ The ‘spirit’ behind the Pensacola Revival and Michael Brown’s ministry.